Julien's Auctions Marilyn Monroe Auction is Now Online! 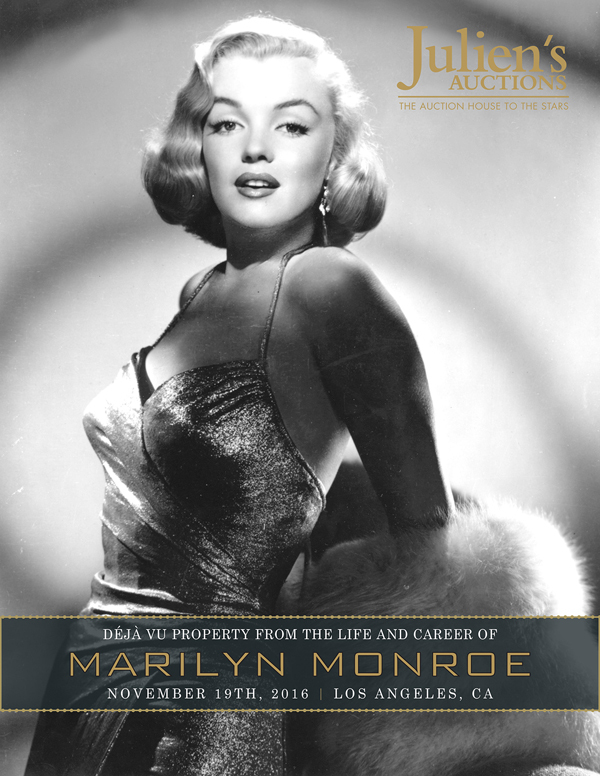 The upcoming Marilyn Monroe auction at Julien’s Auctions is now online at Julien’s Live! 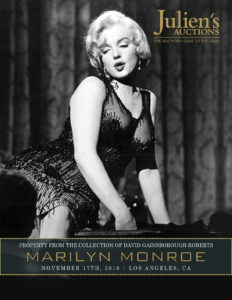 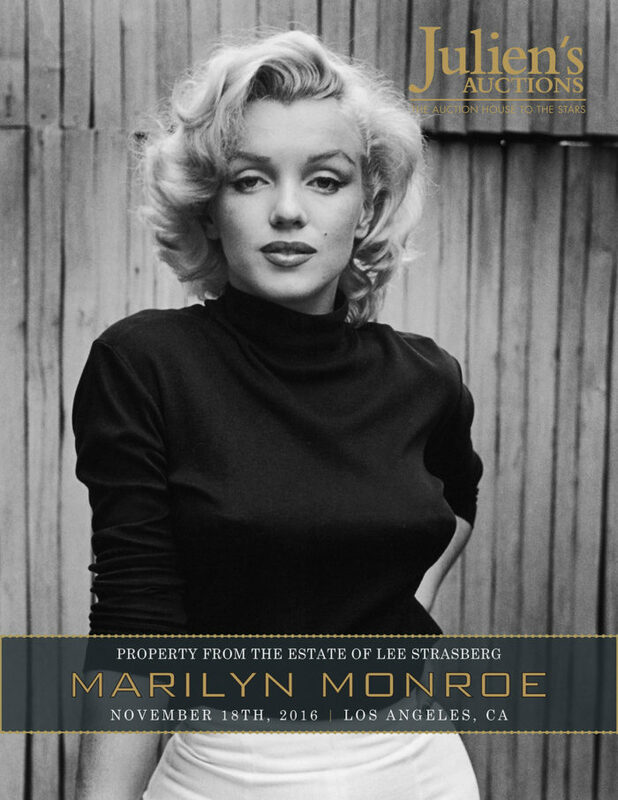 This once-in-a-lifetime Marilyn Monroe auction event includes Marilyn Monroe property from the collection of David Gainsborough-Roberts, Marilyn Monroe property from the estate of Lee Strasberg, Monroe Six member Frieda Hull’s Marilyn Monroe collection and photography archive, déjà vu property from the life and career of Marilyn Monroe including personal items originally sold at Christie’s 1999 and Julien’s Auctions’ 2005 Property From The Estate of Marilyn Monroe auctions, and the infamous “Happy Birthday Mr. President” dress, worn by Marilyn when she serenaded President John F. Kennedy on May 19, 1962. 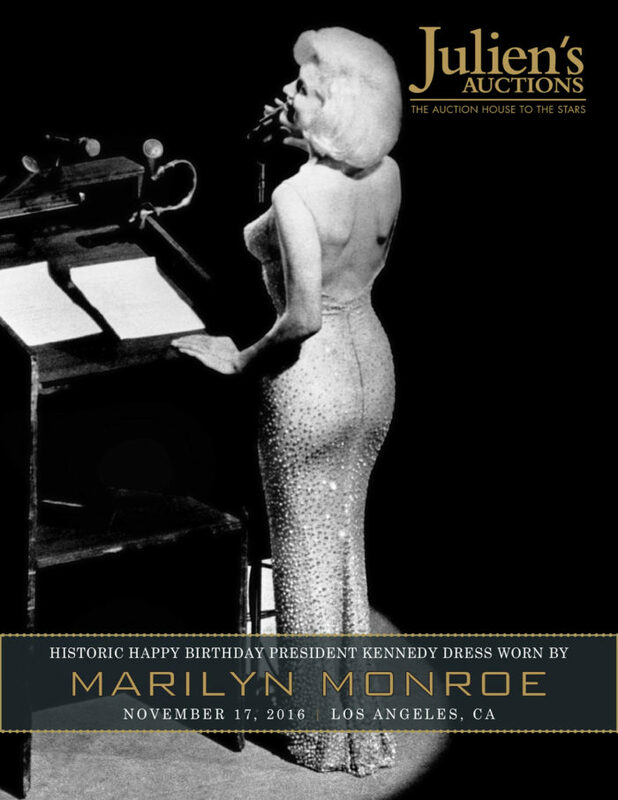 To read more on this historic auction, visit Julien’s Auctions website here.